Mr Williams also announced the criteria that the Rail Review will draw on to develop a new model for the UK rail network, and launched the next phase of the review’s call for evidence to focus on them. "There needs to be a much stronger focus on passengers. This has been common ground from everyone we have spoken with. Passengers must be at the heart of the future of the railway. "And not just the passenger of today, but also the passengers of tomorrow, who will look at rail differently than we do today and hopefully, if we do our job right, as part of a more integrated transport network. 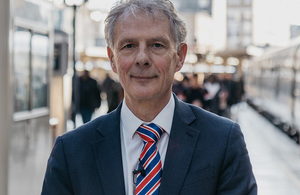 "Moving to a customer focused railway won’t be easy and I want to make it absolutely clear that trade-offs will be unavoidable when I come to make my recommendations - for example, between a system that delivers a national network and is responsive to local interests."